Many landscape photographers will testify that controlling the exposure at sunrise or sunset, when the sun may be hovering only inches above the horizon, can be a tricky process. The strength of the sun means it can appear blown out, and trying to adjust the exposure can leave other areas in the frame underexposed. The range of Lee Filters Reverse ND filters have been specifically designed to give the photographer full control over images shot at the beginning and end of the day. 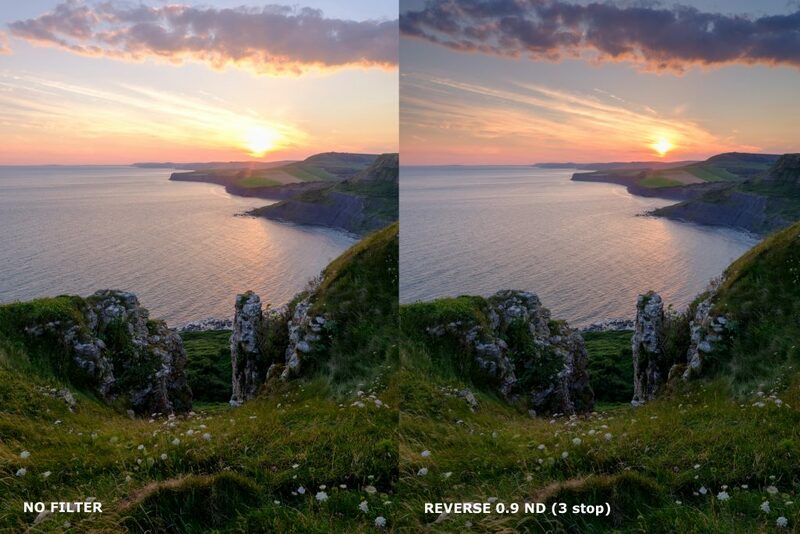 As its name suggests, the Reverse ND has a stronger density in the centre of the filter, with a carefully designed transition zone that gives a natural balanced exposure to the sky. As with all of LEE Filters’ resin graduated filters, the Reverse ND is manufactured by hand by skilled technicians at the company’s Andover factory. This level of quality control differentiates the Reverse ND from other similar filters on the market. Most importantly, where many similar filters feature a strong ‘stripe’ at the horizon line that fades very sharply, the LEE Reverse ND has a much smoother, more gradual transition between the dyed and clear areas of the filter. The result is a far more pleasing and balanced image than can otherwise be achieved. The Lee Filters Reverse ND has been designed to be at its most effective when used on lenses of 24mm or wider on a full frame DSLR (or equivalent).